Jenny Gardner was always getting sick. Ever since she was a child, she’d had more than her share of the common cold. Her propensity to catch illnesses, and inability to recover quickly continued throughout her adult years. She was unable to lead a normal life, work full-time or enjoy the simple pleasures that others did. 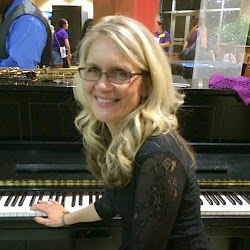 At age 41—and after years of misdiagnoses, as well as being wrongly labeled a ‘hypochondriac,’—Jenny was finally diagnosed with CVID (Common Variable Immune Deficiency. People with CVID are basically born without an immune system, or a very weak one. They are extremely susceptible to infections and viruses that target the lungs, sinuses, and ears. Jenny’s system could not produce the antibodies necessary to maintain normal periods of wellness. After her diagnosis, doctors prescribed a weekly routine of Immunoglobulin Replacement Therapy (IRT), which provides her with IVIG (Intraveinous Immunoglobulin). Immunoglobulin is plasma that contains high levels of antibodies, therefore bolstering the body against the aggression of disease. Jenny was undergoing her IRT weekly treatments, and without a doubt doing better than she had in years. But the problem was that by the time she was ready for another treatment, she’d have contracted some kind of upper-respiratory condition. She feared her battles with sinus infections, viruses and multiple bouts of pneumonia would return. After 14 years of IVIG therapy, she needed another solution. And that is where Biotest and Patricia Gant came into the picture. 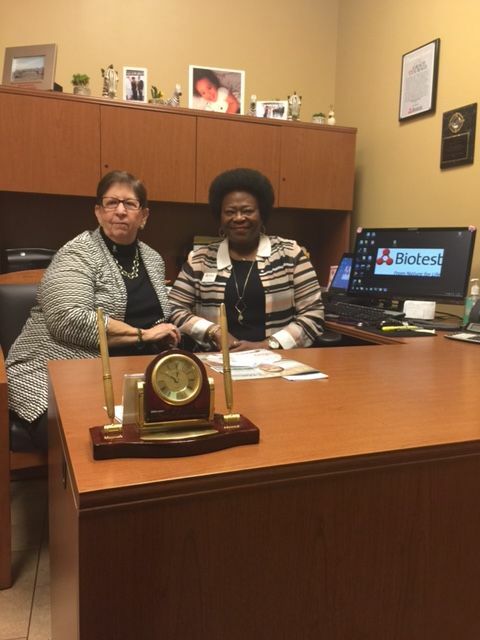 Patricia Gant, manager of the Royal Palm Beach Biotest donations Center, told us a little about what she does. “We are a plasma donation center. We are here to save lives,” she said in a commanding tone that expressed of her confidence and pride in her field. Biotest originated in 1946 in Germany, and has since expanded worldwide. Last year, they celebrated being in the business of saving lives for 70 years. In the U.S. alone, there are 22 donation centers in twelve states—with the main manufacturing facility located here in Boca Raton, Florida. The Boca regional complex is a plasma refractionation plant, as well as a center for Research in Biopharmaceuticals. Plasma is broken down and turned into paste or powder from which live-saving medication is developed for a variety of diseases and deficiencies. Some of those conditions are: RH Negative blood (expectant mothers with RH Negative blood pose a serious threat to their newborn’s viability, CVID—Common Variable Immune Deficiency, Hepatitis B and C, Rabies, Tetanus, Chicken Pox, as well as treatment for burn and trauma victims. Patricia Gant has been in plasma medicine field since the mid-70s. As a child she wanted to be an army nurse, but her mother wouldn’t have it. She went to school and then worked as a nurse at Baptist Hospital in Pensacola. “In 1974, I left the hospital and went to plasma, and have never looked back. I know that every day, I get to get up and save people’s lives,” she says. Patricia has been with Biotest since 1993 in their Michigan, Nebraska and Ohio centers, and finally here in Royal Palm Beach. Thanks to Patricia Gant and the many donors at Biotest, Jenny Gardner can live a better life. After the IVIG treatments proved inadequate, she started a new treatment called Subcutaneous Infusions. It is administered weekly through small needles just underneath the skin. The results have proven successful. While Jenny has seen several of her friends with immune disorders lose function of organs and even their lives, due to her subcutaneous plasma therapy she is now living a more vital life, than ever. Without the plasma donors, Jenny would not know the level of health she does now. It takes approximately 325 donors to provide the medicine she needs for one week! She will often visit the center with candy and hugs just to thank them. Biotest thoroughly screens and tests their donors, and they are compensated for their time. It is safe and rewarding. Many donate 1-2 times per seven days. 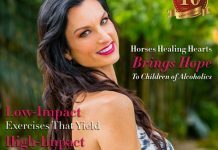 More information on plasma contributions is available on their website at http://biotestplasma.com/royal-palm-beach/. Let’s wish Biotest a Happy 70th Birthday. Their mission grants many people, like Jenny Gardner, an opportunity to celebrate yet another birthday, as well.